I think its time for some more aircooler LOVE!!! Remember our German Facebook friend, Pascal Hein? We blogged about his cherry Lemon (lemon is what he named the car) classic 1973 BMW 1802 Touring. 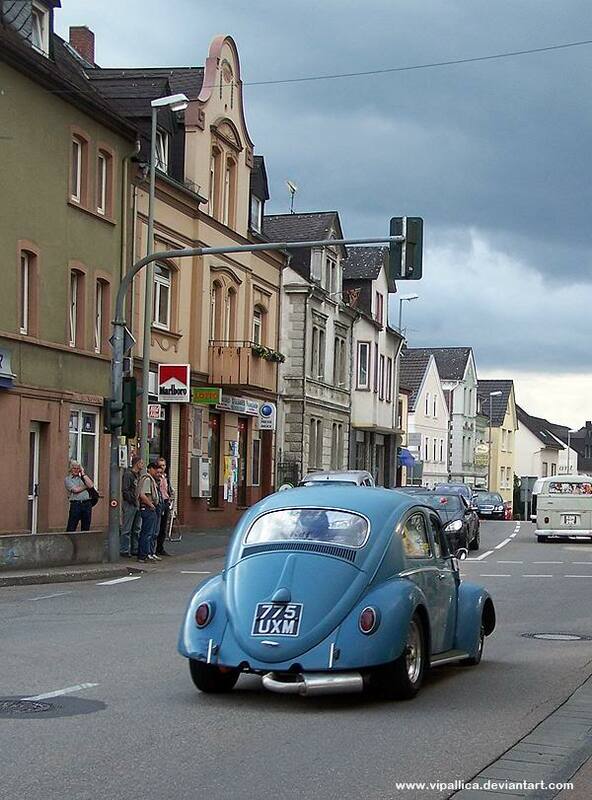 Pascal took these pictures at a big VW Bug and Bus Meeting in Germany, home of the “People’s Car” brand. Most of the bugs you’ll see came from Great Britain, Belgium or from Netherlands. I thought I’d grab my favorites from Pascal’s photo website http://www.vipallica.deviantart.com/. This is my favorite picture. I’m really likin’ this blue Cal-Look big window bug. It’s got the big single turbo muffler, nerf bars, narrowed front beam with all the chrome trim. Bugs with a nice raked stance are one of my favorite cars of all time. Gold Member anyone? Polished Fuch Porsche wheels are always a win on classic Volkswagens. This is another Cal-Look inspired ride. Peep the interior. Check below for a close up. Boom! 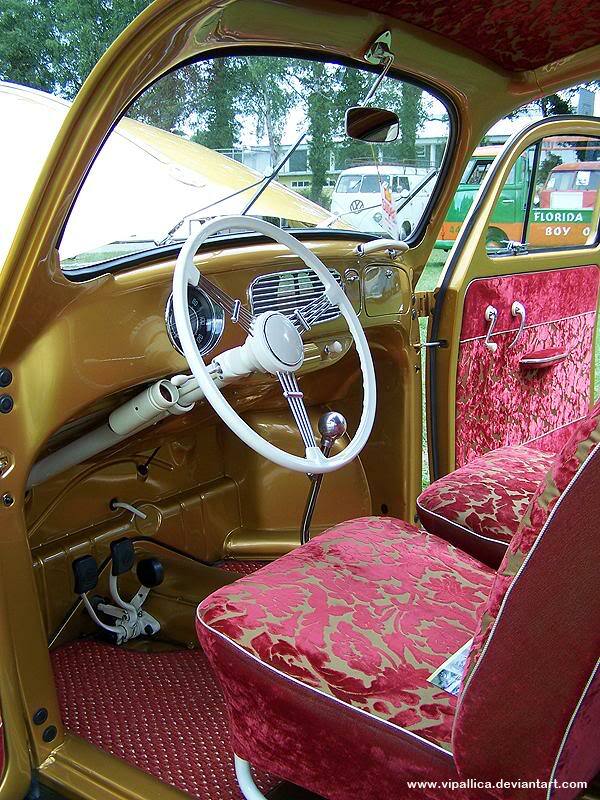 This interior definitely has a Kustom vibe to it with the purple velvet seats and floor mats. I am digging on the white steering wheel and pedals. The dash is custom too. I love the old metal dashes of cars from yester-year. One last photo from Pascal for you. 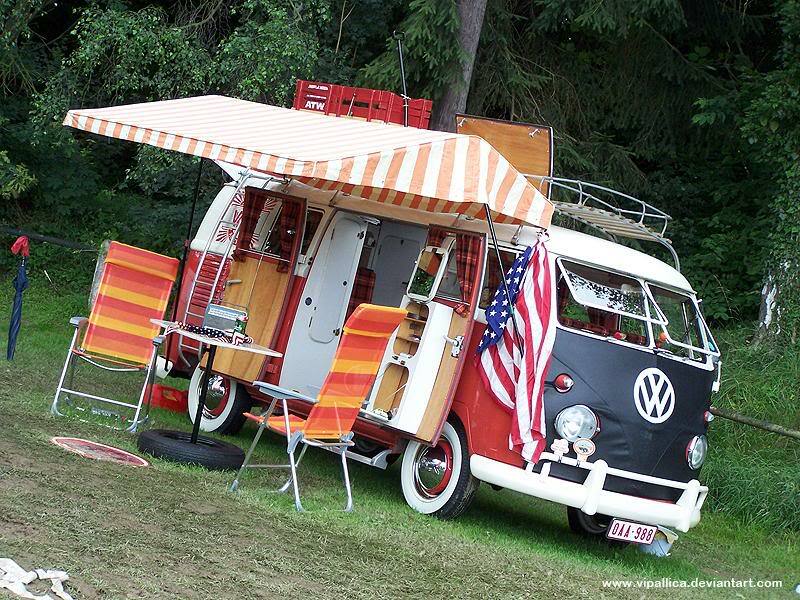 The Camper Bus. The ultimate “People’s Car” no? What’s withthe American Flag though. Maybe its owned by someone in the US military…who knows. 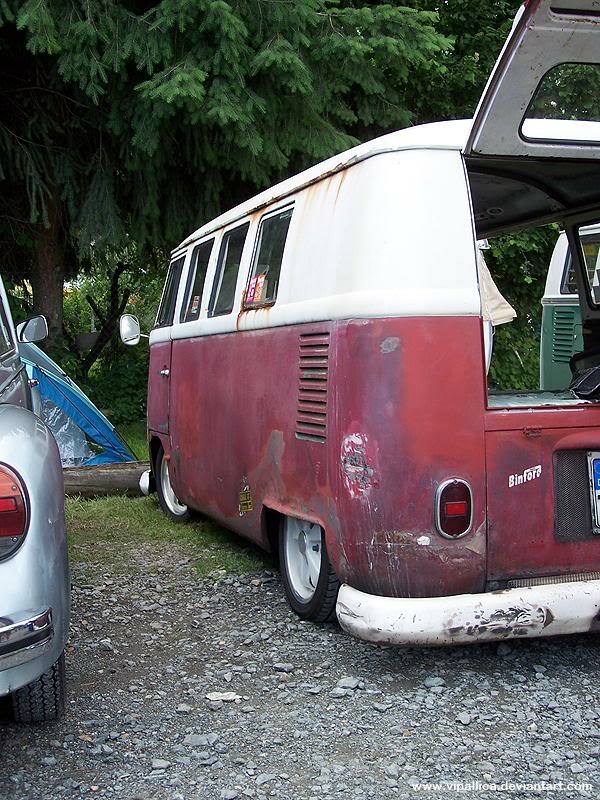 White walls, flip out front windowns, full length roof rack and full camper interior is a HUGE WIN!!! Style and functionality. So, there’s a quick look at German cars in Germany. Next up I’ve got some American cars in Germany. Do we have any international members of MyRideisMe.com Community reading this? Send us pics from your car scenes! 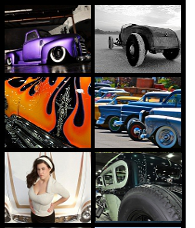 We’d love to share the car culture in your area. Are you a Member of MyRideisMe.com yet? No? Well, join us by simply clicking HERE. 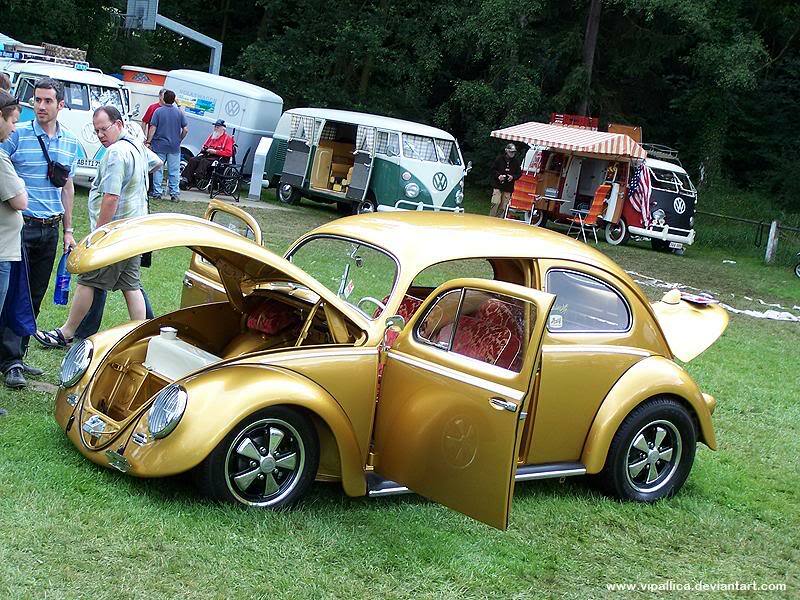 I like those old Vdubs, too. That’s some cool ones!